'Sometimes it feels that media technology has become such a feature of everyday life that the Internet isn't just a screen but a scenery in itself,' says Akihiko Taniguchi discussing his video to sound artist Holly Herndon's new single, 'Chorus'. Like Herndon’s track, these images are a pulsating mix of natural and synthetic textures. 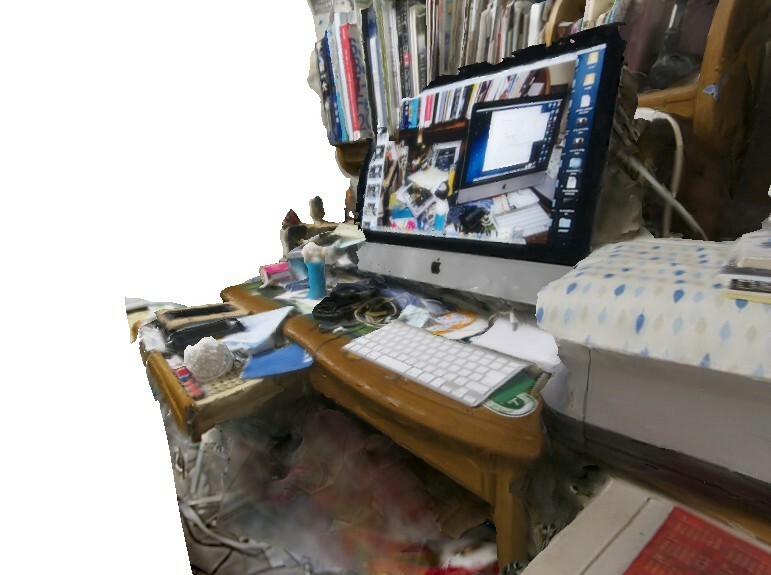 Taken from the desktops of Ahkiko's acquaintance's workspaces and home computers, they gve an intimate, 3D exploration of what is, kind of, the surface of the internet. Featuring real-life scenes that Taniguchi rendered and warped using 3D modelling software, he created them from stills for his video to Herndon’s latest offering – you can see the video here and take a look at some of the astounding creations below. They take a few seconds to load, but they're worth it – see the rest here.